Bali is an Indonesian island located in the westernmost end of the Lesser Sunda Islands, lying between Java to the west and Lombok to the east. It is one of the country’s 33 provinces with the provincial capital at Denpasar towards the south of the island. With a population recorded as 3,551,000 in 2009, the island is home to the vast majority of Indonesia’s small Hindu minority. About 93.2% of Bali’s population adheres toBalinese Hinduism, while most of the remainder follow Islam. It is also the largest touristdestination in the country and is renowned for its highly developed arts, including dance, sculpture, painting, leather, metalworking, and music. Bali was inhabited by about 2000 BC by Austronesian peoples who migrated originally from Taiwan through Maritime Southeast Asia. Culturally and linguistically, the Balinese are thus closely related to the peoples of the Indonesian archipelago, the Philippines, and Oceania. Stone tools dating from this time have been found near the village of Cekik in the island’s west. Balinese culture was strongly influenced by Indian and Chinese, and particularly Hindu culture, in a process beginning around the 1st century AD. 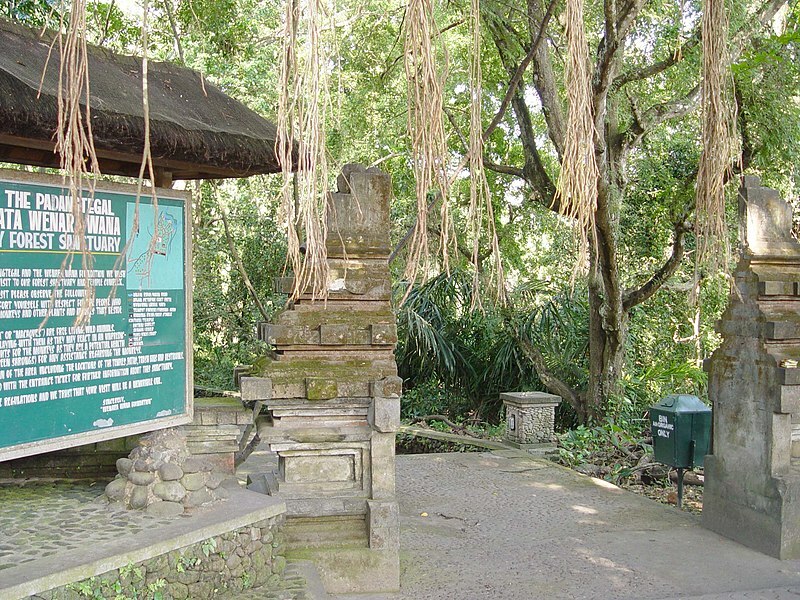 The name Bali dwipa (“Bali island”) has been discovered from various inscriptions, including the Blanjong pillar inscription written by Sri Kesari Warmadewa in 914 AD and mentioning “Walidwipa”. It was during this time that the complex irrigation systemsubak was developed to grow rice. Some religious and cultural traditions still in existence today can be traced back to this period. 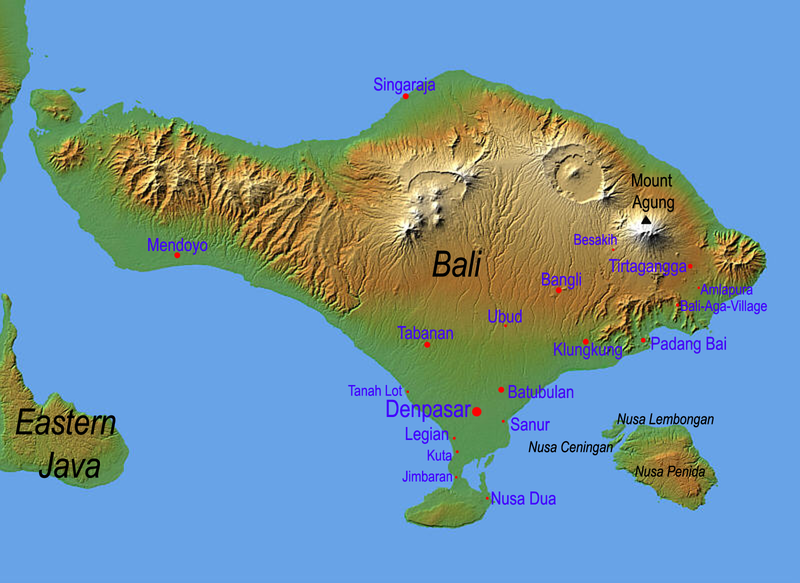 The Hindu Majapahit Empire (1293–1520 AD) on eastern Java founded a Balinese colony in 1343. When the empire declined, there was an exodus of intellectuals, artists, priests and musicians from Java to Bali in the 15th century. The first European contact with Bali is thought to have been made in 1585 when aPortuguese ship foundered off the Bukit Peninsula and left a few Portuguese in the service of Dewa Agung. In 1597 the Dutch explorer Cornelis de Houtman arrived at Bali and, with the establishment of the Dutch East India Company in 1602, the stage was set for colonial control two and a half centuries later when Dutch control expanded across the Indonesian archipelago throughout the second half of the nineteenth century (see Dutch East Indies). Dutch political and economic control over Bali began in the 1840s on the island’s north coast, when the Dutch pitted various distrustful Balinese realms against each other. In the late 1890s, struggles between Balinese kingdoms in the island’s south were exploited by the Dutch to increase their control. The Dutch mounted large naval and ground assaults at the Sanur region in 1906 and were met by the thousands of members of the royal family and their followers who fought against the superior Dutch force in a suicidal puputan defensive assault rather than face the humiliation of surrender. Despite Dutch demands for surrender, an estimated 1,000 Balinese marched to their death against the invaders. In the Dutch intervention in Bali (1908), a similar massacre occurred in the face of a Dutch assault in Klungkung. Afterwards the Dutch governors were able to exercise administrative control over the island, but local control over religion and culture generally remained intact. Dutch rule over Bali came later and was never as well established as in other parts of Indonesia such as Java and Maluku. In the 1930s, anthropologists Margaret Mead and Gregory Bateson, and artists Miguel Covarrubias and Walter Spies, and musicologistColin McPhee created a western image of Bali as “an enchanted land of aesthetes at peace with themselves and nature”, and western tourism first developed on the island. Balinese dancers show for tourists, Ubud. Imperial Japan occupied Bali during World War II, during which time a Balinese military officer, Gusti Ngurah Rai, formed a Balinese ‘freedom army’. The lack of institutional changes from the time of Dutch rule however, and the harshness of war requisitions made Japanese rule little better than the Dutch one. Following Japan’s Pacific surrender in August 1945, the Dutch promptly returned to Indonesia, including Bali, immediately to reinstate their pre-war colonial administration. This was resisted by the Balinese rebels now using Japanese weapons. On 20 November 1946, the Battle of Marga was fought in Tabanan in central Bali. Colonel I Gusti Ngurah Rai, by then 29 years old, finally rallied his forces in east Bali at Marga Rana, where they made a suicide attack on the heavily armed Dutch. The Balinese battalion was entirely wiped out, breaking the last thread of Balinese military resistance. In 1946 the Dutch constituted Bali as one of the 13 administrative districts of the newly-proclaimed State of East Indonesia, a rival state to the Republic of Indonesia which was proclaimed and headed by Sukarno and Hatta. Bali was included in the “Republic of the United States of Indonesia” when the Netherlands recognised Indonesian independence on 29 December 1949. The 1963 eruption of Mount Agung killed thousands, created economic havoc and forced many displaced Balinese to be transmigrated to other parts of Indonesia. Mirroring the widening of social divisions across Indonesia in the 1950s and early 1960s, Bali saw conflict between supporters of the traditional caste system, and those rejecting these traditional values. Politically, this was represented by opposing supporters of the Indonesian Communist Party (PKI) and the Indonesian Nationalist Party (PNI), with tensions and ill-feeling further increased by the PKI’s land reform programs. An attempted coup in Jakarta was put down by forces led by General Suharto. The army became the dominant power as it instigated a violent anti-communist purge, in which the army blamed the PKI for the coup. Most estimates suggest that at least 500,000 people were killed across Indonesia, with an estimated 80,000 killed in Bali, equivalent to 5% of the island’s population. With no Islamic forces involved as in Java and Sumatra, upper-caste PNI landlords led the extermination of PKI members. As a result of the 1965/66 upheavals, Suharto was able to manoeuvre Sukarno out of the presidency, and his “New Order” government reestablished relations with western countries. The pre-War Bali as “paradise” was revived in a modern form, and the resulting large growth in tourism has led to a dramatic increase in Balinese standards of living and significant foreign exchange earned for the country. A bombing in 2002 by militant Islamists in the tourist area of Kuta killed 202 people, mostly foreigners. This attack, andanother in 2005, severely affected tourism, bringing much economic hardship to the island. Tourist numbers have now returned to levels before the bombings. The island of Bali lies 3.2 km (2 mi) east of Java, and is approximately 8 degrees south of theequator. Bali and Java are separated by Bali Strait. East to west, the island is approximately 153 km (95 mi) wide and spans approximately 112 km (69 mi) north to south; its land area is 5,632 km². Bali’s central mountains include several peaks over 2,000 metres. The highest is Mount Agung (3,142 m), known as the “mother mountain” which is an active volcano. Mountains range from centre to the eastern side, with Mount Agung the easternmost peak. Bali’s volcanic nature has contributed to its exceptional fertility and its tall mountain ranges provide the high rainfall that supports the highly productive agriculture sector. South of the mountains is a broad steadily descending area where most of Bali’s large rice crop is grown. The northern side of the mountains slopes more steeply to the sea and is the main coffee producing area of the island, along with rice, vegetables and cattle. The longest river, Ayung River, flows approximately 75 km. To the east, the Lombok Strait separates Bali from Lombok and marks the biogeographical division between the fauna of theIndomalayan ecozone and the distinctly different fauna of Australasia. The transition is known as the Wallace Line, named after Alfred Russel Wallace, who first proposed a transition zone between these two major biomes. When sea levels dropped during the Pleistocene ice age, Bali was connected to Java and Sumatra and to the mainland of Asia and shared the Asian fauna, but the deep water of the Lombok Strait continued to keep Lombok and the Lesser Sunda archipelago isolated. 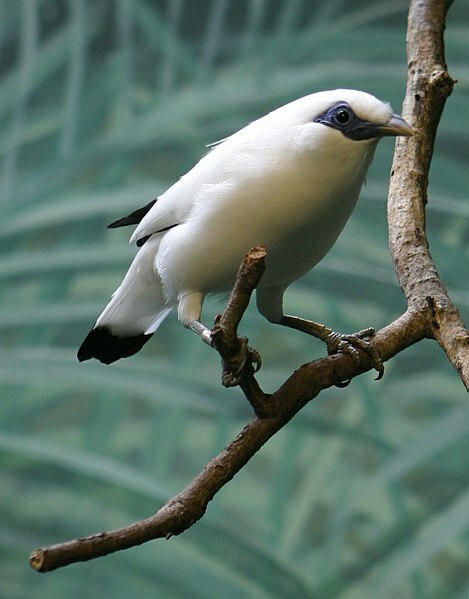 The Bali Starling is found only on Bali and is critically endangered. Bali lies just to the west of the Wallace Line, and thus has a fauna which is Asian in character, with very little Australasian influence, and has more in common with Java than with Lombok. An exception is the Yellow-crested Cockatoo, a member of a primarily Australasian family. There are around 280 species of birds, including the critically endangered Bali Starling, which is endemic. Others IncludeBarn Swallow, Black-naped Oriole, Black Racket-tailed Treepie, Crested Serpent-eagle, Crested Treeswift, Dollarbird, Java Sparrow, Lesser Adjutant, Long-tailed Shrike, Milky Stork, Pacific Swallow,Red-rumped Swallow, Sacred Kingfisher, Sea Eagle, Woodswallow, Savanna Nightjar, Stork-billed Kingfisher, Yellow-vented Bulbul, White Heron, Great Egret. Until the early 20th century, Bali was home to several large mammals: the wild Banteng, Leopard and an endemic subspecies of Tiger, the Bali Tiger. The Banteng still occurs in its domestic form, while Leopards are found only in neighboring Java, and the Bali Tiger is extinct. The last definite record of a Tiger on Bali dates from 1937, when one was shot, though the subspecies may have survived until the 1940s or 1950s. The relatively small size of the island, conflict with humans, poaching and habitat reduction drove the Tiger to extinction. This was the smallest and rarest of all Tiger subspecies and was never caught on film or displayed in zoos, while few skins or bones remain in museums around the world. Today, the largest mammals are the Javan Rusa deer and the Wild Boar. A second, smaller species of deer, the Indian Muntjac, also occurs. Squirrels are quite commonly encountered, less often the Asian Palm Civet, which is also kept in coffee farms to produce Kopi Luwak. Bats are well represented, perhaps the most famous place to encounter them remaining the Goa Lawah (Temple of the Bats) where they are worshipped by the locals and also constitute a tourist attraction. They also occur in other cave temples, for instance at Gangga Beach. Two species of monkey occur. The Crab-eating Macaque, known locally as “kera”, is quite common around human settlements and temples, where it becomes accustomed to being fed by humans, particularly in any of the three “monkey forest” temples, such as the popular one in the Ubud area. They are also quite often kept as pets by locals. The second monkey, far rarer and more elusive is the Silver Leaf Monkey known locally as “lutung”. They occur in few places apart from the Bali Barat National Park. Other, rarer mammals include the Leopard Cat, Sunda Pangolin and Black Giant Squirrel. Snakes include the King Cobra and Reticulated Python. The Water Monitor can grow to an impressive size and move surprisingly quickly. The rich coral reefs around the coast, particularly around popular diving spots such as Tulamben, Amed, Menjangan or neighboring Nusa Penida, host a wide range of marine life, for instance Hawksbill Turtle, Giant Sunfish, Giant Manta Ray, Giant Moray Eel, Bumphead Parrotfish, Hammerhead Shark, Reef Shark, barracuda, and sea snakes. Dolphins are commonly encountered on the north coast nearSingaraja and Lovina. Many plants have been introduced by humans within the last centuries, particularly since the 20th century, making it sometimes hard to distinguish what plants are really native. Among the larger trees the most common are: Banyan trees, Jackfruit, coconuts, bamboospecies, acacia trees and also endless rows of coconuts and banana species. Numerous flowers can be seen: hibiscus, frangipani,bougainvillea, poinsettia, oleander, jasmine, water lily, lotus, roses, begonias, orchids and hydrangeas exist. On higher grounds that receive more moisture, for instance around Kintamani, certain species of fern trees, mushrooms and even pine trees thrive well. Rice comes in many varieties. Other plants with agricultural value include: salak, mangosteen, corn, Kintamani orange, coffee and water spinach. Three decades ago, the Balinese economy was largely agriculture-based in terms of both output and employment. Tourism is now the largest single industry; and as a result, Bali is one of Indonesia’s wealthiest regions. About 80% of Bali’s economy depends on tourism. The economy, however, suffered significantly as a result of the terrorist bombings 2002 and 2005. The tourism industry is slowly recovering once again. Although tourism produces the GDP’s largest output, agriculture is still the island’s biggest employer; most notablyrice cultivation. Crops grown in smaller amounts include fruit, vegetables, Coffea arabica and other cash and subsistence crops. Fishing also provides a significant number of jobs. Bali is also famous for its artisans who produce a vast array of handicrafts, including batik and ikat cloth and clothing, wooden carvings, stone carvings, painted art and silverware. Notably, individual villages typically adopt a single product, such as wind chimes or wooden furniture. The Arabica coffee production region is the highland region of Kintamani near Mount Batur. Generally, Balinese coffee is processed using the wet method. This results in a sweet, soft coffee with good consistency. Typical flavors include lemon and other citrus notes. Many coffee farmers in Kintamani are members of a traditional farming system called Subak Abian, which is based on theHindu philosophy of “Tri Hita Karana”. According to this philosophy, the three causes of happiness are good relations with God, other people and the environment. The Subak Abian system is ideally suited to the production of fair trade and organic coffee production. Arabica coffee from Kintamani is the first product in Indonesia to request a Geographical Indication. The tourism industry is overwhelmingly focused in the south, while significant in the other parts of the island as well. the east coast town of Sanur (once the only tourist hub); in the center of the island Ubud; to the south of the airport is Jimbaran and the newer development of Nusa Dua. Another increasingly important source of income for Bali is what is called “Congress Tourism” from the frequent international conferences held on the island. The number of these events increased after the terrorist bombings of 2002 and 2005, to resurrect Bali’s damaged tourism industry as well as its tarnished image. One such event was the 2010 World Geothermal Congress. The American government lifted its travel warnings in 2008. As of 2009 the Australian government still rates it a 4 danger level (the same as several countries in central Africa) on a scale of 5. An offshoot of tourism is the growing real estate industry. Bali real estate has been rapidly developing in the main tourist areas of Kuta, Legian, Seminyak and Oberoi. Most recently, high-end 5 star projects are under development on the Bukit peninsula on the south side of the island. Million dollar villas are springing up along the cliff sides of south Bali, commanding panoramic ocean views. Foreign and domestic (many Jakarta individuals and companies are fairly active) investment into other areas of the island also continues to grow. Land prices, despite the worldwide economic crisis have remained stable. In the last half of 2008, Indonesia’s currency had dropped approximately 30% against the US dollar, providing many overseas visitors value for their currencies. Visitor arrivals for 2009 were forecast to drop 8% (which would be higher than 2007 levels), due to the worldwide economic crisis which has also affected the global tourist industry and not due to any travel warnings. 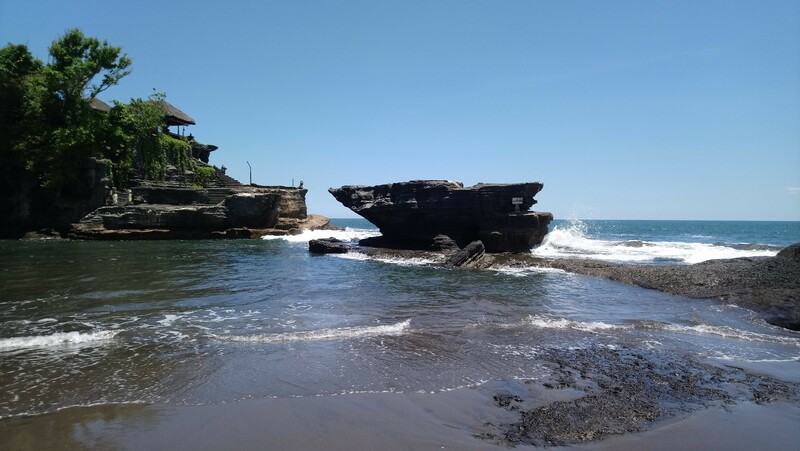 Bali’s tourism economy has not only survived the terrorist bombings of 2002 and 2005, the tourism industry has slowly recovered and surpassed its pre-terrorist bombing levels and the longterm trend is a steady increase of visitor arrivals. The Indonesian Tourism Ministry expects more visitors arrivals in 2010, whose target for visitor arrivals is aimed to be the highest ever. Bali’s tourism brand is Bali Shanti Shanti Shanti. Where Shanti derived from Sanskrit “Shanti” (शान्‍ति) meaning peace. Bali, received the Best Island award from Travel and Leisure 2010. The award was presented in the show “World’s Best Awards 2010” in New York, on 21 July. Hotel Four Seasons Resort Bali at Jimbaran also received an award in the category of “World Best Hotel Spas in Asia 2010”. The award was based upon survey results of travel magazine Travel + Leisure readers, during the period December 15, 2009 through March 31, 2010, and was based upon several criteria. The island of Bali won because its natural state is uniformly attractive (both mountain and coastal areas), tourist attractions are diverse and widely distributed, the excellent availability of restaurants food (international and local), and the friendliness of the local people to visitors. A coastal road surrounds the island, and three major two-lane arteries cross the central mountains at passes reaching to 1,750m in height (at Penelokan). The Ngurah Rai Bypass is a four-lane expressway that partly encircles Denpasar and enables cars to travel quickly in the heavily populated south. Bali has no railway lines. The population of Bali is 3,151,000 (as of 2005). There are an estimated 30,000 expatriates living in Bali. The Mother Temple of Besakih one of Bali’s most significant Hindu temples. Unlike most of Muslim-majority Indonesia, about 93.18% of Bali’s population adheres toBalinese Hinduism, formed as a combination of existing local beliefs and Hindu influences from mainland Southeast Asia and South Asia. Minority religions include Islam (4.79%),Christianity (1.38%), and Buddhism (0.64%). These figures do not include immigrants from other parts of Indonesia. When Islam surpassed Hinduism in Java (16th century), Bali became a refuge for many Hindus. Balinese Hinduism is an amalgam in which gods and demigods are worshipped together with Buddhist heroes, the spirits of ancestors, indigenous agricultural deities and sacred places. Religion as it is practiced in Bali is a composite belief system that embraces not only theology, philosophy, and mythology, but ancestor worship, animism and magic. It pervades nearly every aspect of traditional life. Caste is observed, though less strictly than in India. With an estimated 20,000 puras (temples) and shrines, Bali is known as the “Island of a Thousand Puras”, or “Island of the Gods”. Balinese Hinduism has roots in Indian Hinduism and in Buddhism, and adopted the animistic traditions of the indigenous people. This influence strengthened the belief that the gods and goddesses are present in all things. Every element of nature, therefore, possesses its own power, which reflects the power of the gods. A rock, tree, dagger, or woven cloth is a potential home for spirits whose energy can be directed for good or evil. 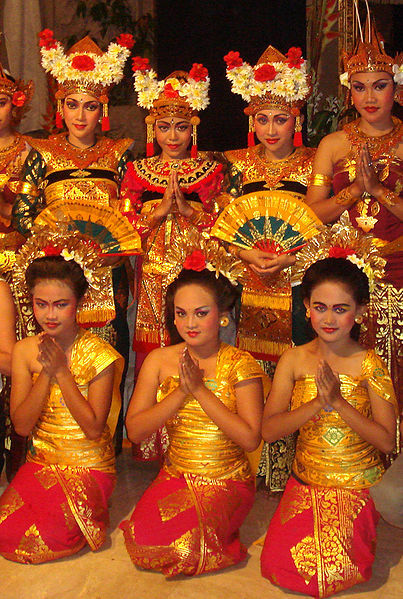 Balinese Hinduism is deeply interwoven with art and ritual. Ritualizing states of self-control are a notable feature of religious expression among the people, who for this reason have become famous for their graceful and decorous behavior. Apart from the majority of Balinese Hindus, there also exist Chinese immigrants whose traditions have melded with that of the locals. As a result, these Sino-Balinese not only embrace their original religion, which is a mixture of Buddhism, Taoism and Confucianism, but also find a way to harmonise it with the local traditions. Hence, it is not uncommon to find local Sino-Balinese during the local temple’s odalan. Moreover, Balinese Hindu priests are invited to perform rites alongside a Chinese priest in the event of the death of a Sino-Balinese. Nevertheless, the Sino-Balinese claim to embrace Buddhism for administrative purposes, such as their Identity Cards. Balinese and Indonesian are the most widely spoken languages in Bali, and the vast majority of Balinese people are bilingual ortrilingual. There are several indigenous Balinese languages, but most Balinese can also use the most widely spoken option: modern common Balinese. The usage of different Balinese languages was traditionally determined by the Balinese caste system and by clan membership, but this tradition is diminishing. The famous dancer i Mario, picture taken 1940. Bali is renowned for its diverse and sophisticated art forms, such as painting, sculpture, woodcarving, handcrafts, and performing arts. Balinese percussion orchestra music, known as gamelan, is highly developed and varied. Balinese performing arts often portray stories from Hindu epics such as the Ramayana but with heavy Balinese influence. Famous Balinese dances include pendet, legong, baris, topeng, barong, gong keybar, and kecak (the monkey dance). Bali boasts one of the most diverse and innovative performing arts cultures in the world, with paid performances at thousands of temple festivals, private ceremonies, or public shows. The Hindu New Year, Nyepi, is celebrated in the spring by a day of silence. On this day everyone stays at home and tourists are encouraged to remain in their hotels. But the day before that large, colourful sculptures of ogoh-ogoh monsters are paraded and finally burned in the evening to drive away evil spirits. 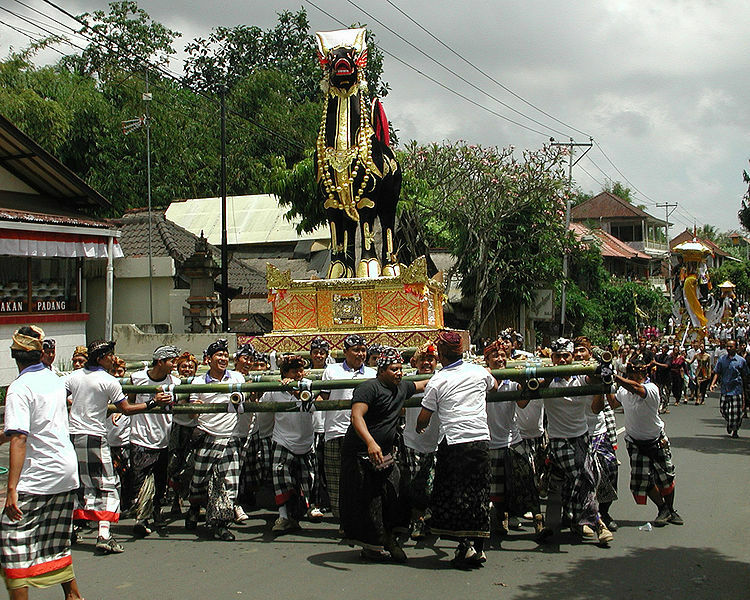 Other festivals throughout the year are specified by the Balinese pawukon calendrical system. 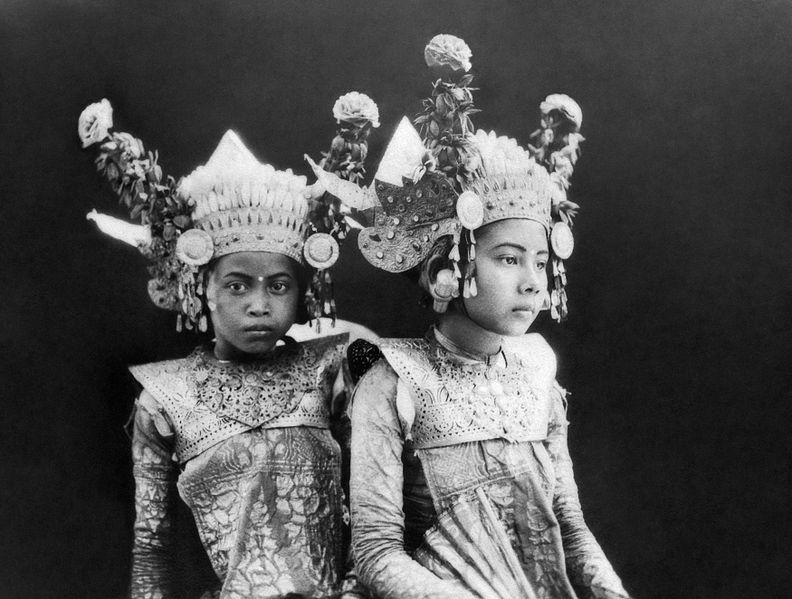 Balinese dancers wearing elaborate headgear, photographed in 1929. Digitally restored. Celebrations are held for many occasions such as a tooth-filing (coming-of-age ritual), cremation or odalan (temple festival). One of the most important concepts that Balinese ceremonies have in common is that of désa kala patra, which refers to how ritual performances must be appropriate in both the specific and general social context. Many of the ceremonial art forms such as wayang kulit and topeng are highly improvisatory, providing flexibility for the performer to adapt the performance to the current situation. Many celebrations call for a loud, boisterous atmosphere with lots of activity and the resulting aesthetic, ramé, is distinctively Balinese. Oftentimes two or more gamelan ensembles will be performing well within earshot, and sometimes compete with each other in order to be heard. Likewise, the audience members talk amongst themselves, get up and walk around, or even cheer on the performance, which adds to the many layers of activity and the liveliness typical of ramé. Kaja and kelod are the Balinese equivalents of North and South, which refer to ones orientation between the island’s largest mountain Gunung Agung (kaja), and the sea (kelod). In addition to spatial orientation, kaja andkelod have the connotation of good and evil; gods and ancestors are believed to live on the mountain whereas demons live in the sea. Buildings such as temples and residential homes are spatially oriented by having the most sacred spaces closest to the mountain and the unclean places nearest to the sea. Most temples have an inner courtyard and an outer courtyard which are arranged with the inner courtyard furthest kaja. These spaces serve as performance venues since most Balinese rituals are accompanied by any combination of music, dance and drama. The performances that take place in the inner courtyard are classified as wali, the most sacred rituals which are offerings exclusively for the gods, while the outer courtyard is where bebali ceremonies are held, which are intended for gods and people. Lastly, performances meant solely for the entertainment of humans take place outside the walls of the temple and are called bali-balihan. This three-tiered system of classification was standardized in 1971 by a committee of Balinese officials and artists in order to better protect the sanctity of the oldest and most sacred Balinese rituals from being performed for a paying audience. Tourism, Bali’s chief industry, has provided the island with a foreign audience that is eager to pay for entertainment, thus creating new performance opportunities and more demand for performers. 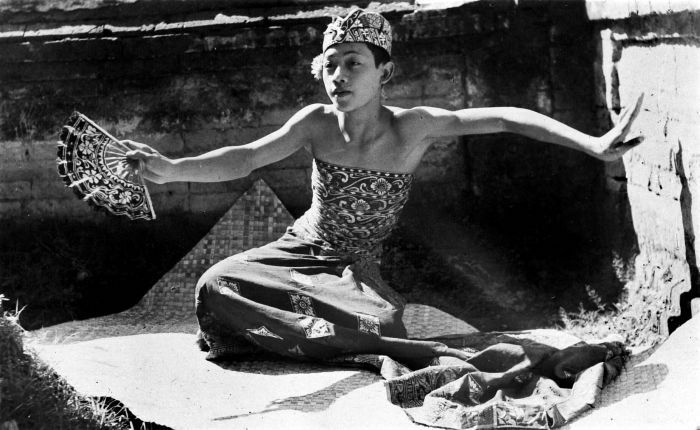 The impact of tourism is controversial since before it became integrated into the economy, the Balinese performing arts did not exist as a capitalist venture, and were not performed for entertainment outside of their respective ritual context. Since the 1930s sacred rituals such as the barong dance have been performed both in their original contexts, as well as exclusively for paying tourists. This has led to new versions of many of these performances which have developed according to the preferences of foreign audiences; some villages have a barong mask specifically for non-ritual performances as well as an older mask which is only used for sacred performances. Balinese society continues to revolve around each family’s ancestral village, to which the cycle of life and religion is closely tied.Coercive aspects of traditional society, such as customary law sanctions imposed by traditional authorities such as village councils (including “kasepekang“, or shunning) have risen in importance as a consequence of the democratization and decentralization of Indonesia since 1998. The Balinese alphabet or Carakan descended ultimately from the from Brahmi script of ancient India by way of the Pallava and Old Kawi scripts. The oldest known inscriptions in the Balinese alphabet date from the 11th century AD, but they are thought to be reproductions of texts originally written on palm leaves at an earlier date. The Balinese alphabet is still used to this day, although very few people are familiar with it and it is mainly used for religious works. Generally a version of the Latin alphabet known as Tulisan Bali is used instead, though what little Balinese printed material exists in the Latin alphabet consists mainly of school books, religious works and a few books of stories. Although Tulisan Bali is a required subject in Balinese primary schools, most people promptly forget it afterwards. Type of writing system: syllabic alphabet / abugida. Each consonant has an inherent vowel. Other vowels can be indicated using diacritics which appear above, below, in front of or after the consonant. If the vowels appear in the middle of a word, the vowel signs are attached to the syllable ha. Independent vowel letters are used when a word begins with a vowel. Each consonant has an appended form (Pangangge Akśara) which is used when one consonant follows another without a vowel in between. Direction of writing: left to right in horizontal lines. There are no spaces between words. Balinese (Basa Bali), an Austronesian language spoken by about 3 million people mainly on the Indonesian island of Bali and in western part of the neighbouring island of Lombok. Balinese is also spoken in Nusapenida, Java and Sulawesi. The appended forms (Pangangge Akśara) are shown in red. There consonants are used for writing words from the Kawi (Old Javanese) language. The final consonants are shown in red. These symbols are used at the ends of syllables to add a consonant sound or to mute the inherent vowel. 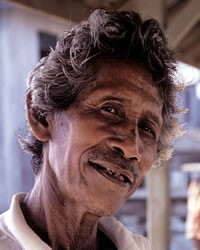 The Loloan people are located in the Jembrana Regency of the island of Bali. More specifically, they live in the villages of Pengembangan, Tegal Badeng Islam, Cupel, Tukadaya, Banyubiru, Tuwed, Candi Kusuma, Sumber Sari, Ketatan, Airkuing, Sumbul, and Pekutatan. The word loloan is derived from the word liloan (“wrapped around” or “winding”), which refers to the first settler’s description of the River Ijogading, which is turbulent with changing currents. It is thought that their ancestors were Muslim immigrants from Sulawesi, Kalimantan and Malaysia. Sunan Wajo led the first group of settlers from Sulawesi. They came to Bali in the 17th Century to escape from the Dutch military. At that time, I Gusti Ngurah Pancoran, the King of Jembrana, welcomed them. He had also resisted the Dutch. These Bugis-Makassar immigrants developed good relationship with the King for the purpose of converting all of his people to Islam. Another group of settlers came from Kalimantan and was led by Abdullah bin Yahya Al Qadry, a descendant of the Sultan of Pontianak. Several of the Melayu groups from Malaysia originated from the areas of Pahang, Johor, Kedah and Trengganu and some of the immigrants were of Arab origin. These groups were also seeking to evade the Dutch military and became assimilated into the Loloan people group. 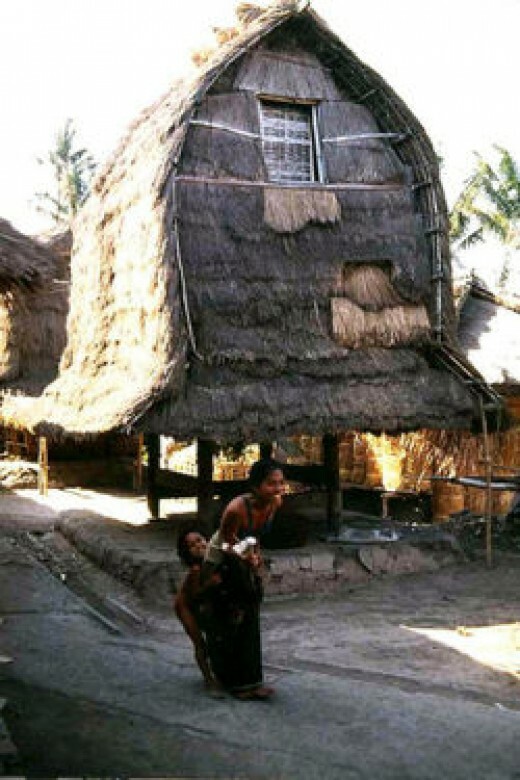 As a community, the Loloan villages have significantly different characteristics than the villages of the Bali people who live in the surrounding areas. In addition to the obvious religious differences, there are also other differences such as the style of homes. The Loloan houses are built on raised platforms, on top of stilts approximately two meters high. The main door of their houses always faces to the east. The location of the door in this manner is designed to avoid any distraction when they are doing their prayers toward Mecca in the west .The decorations of their houses is generally Islamic in nature, such as Arabic calligraphy. The Loloan style of dress, especially the womens’, is also Islamic. In general, they maintain a special and distinctive cultural pattern in the midst of the Hindu Bali people, who have in turn, maintained their own cultural distinctiveness in the midst of an overwhelmingly Muslim nation. They are strong Muslims, which is different from the majority of the Bali people group who are Hindu. This leads to their being ostracized by the Bali people. Loloan traditional laws have been handed down through the generations, and they also strictly enforce Islamic law. Despite this, there are Loloan people who are greatly influenced by animism and many superstitions. These beliefs cause them to seek protection using magic by either appeasing or controlling good and evil spirits. Mekepung and Perancak. Jembrana is best known for its Mekepung, or traditional buffalo race. The regency even calls itself “the land of the Mekepung”. The Mekepung was originally held as part of the harvest festivities. It uses the carts and buffaloes that were used until quite recently as a means of transportation and which originated in Java. The Mekepung consists of a race between two carts pulled by water buffaloes. The animals are colourfully decorated and they run a 2 km long course. Nowadays championship events are organized under the sponsorship of the local government, which uses the race as a promotional tool for tourism. Trunyan village is located on the bank of lake Batur just on the foot of the mount Abang . Their unique tradition from the rest of Balinese is their tradition of not burrying their dead member. They have 3 cemetries. One is for the normal dead, second is for abnormal death such as fall from the wood during harvest of greenery for the cattles, or certain sickness which is considered very dangerous, and cemetry for the children.For the normal dead person the corp is not burried like the rest of Balinese, but just put on the narrow spot of land on the foot of hill and just exposed to the atmosphere until the whole flesh disolve from the body and left only the bones. There is really strange because the expored dead body in Trunyan normal cemetry is not radiationg bad smell. Many people say that it is just because of the water absorb the bed smell or probably the tree that is known to name Maja tree can absorb the bed smell. As a matter of fact Trunyan village has been recorded on king charter in the 10th century. A temple dedicated to the God of Bhatara Datonta is clearly mentioned 1000 years ago to be maintained and worshiped. Lombok Island (total population in 2001: 2,722,123 inhabitants)  is an island in the Lesser Sunda Islands or Nusa Tenggara are separated by the Lombok Strait from Bali to the west and the Alas Strait to the east of Sumbawa. The island is roughly spherical with a kind of “tail” on the southwest side of a length less than 70 km. Extensive island reaches 5435 km ², placing it on the ranking list of 108 of the island based on the extent of the world. The main town on the island is Mataram. 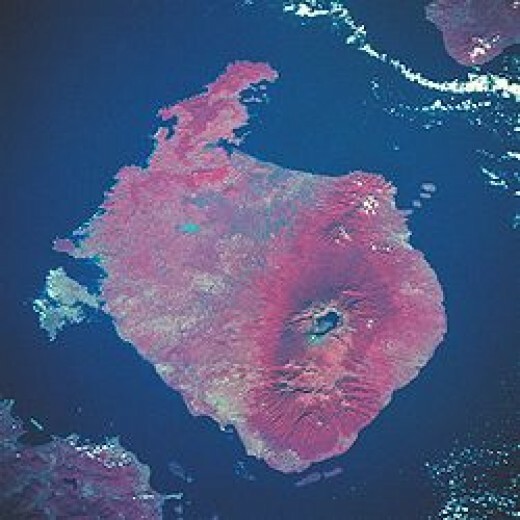 Infrared photographs from satellites show Lombok island with crater of Mount Rinjani. Lombok Strait marks the boundary of flora and fauna of Asia. Starting from the island of Lombok to the east, much flora and fauna shows similarities to the flora and fauna found in Australia than Asia. Scientist who first stated this is Alfred Russel Wallace, an Englishman in the 19th century. To honor this limit is called the Wallace Line. Topography of the island is dominated by Rinjani volcano which reaches 3726 meters height above sea level and make it the third highest in Indonesia. The mountain last erupted in June-July 1994. In 1997 the area of the mountain and lakeSegara Anak in its declared protected by the government. Area south of the island consists mostly of fertile land which is used for agriculture, commodities are usually planted in this area include maize, rice, coffee, tobacco and cotton. Approximately 80% of the population of this island is the Sasak tribe, a tribe that is still close to the tribal peoples of Bali, but most converted to Islam. Rest of the population are Balinese, Javanese, Tionghoa and Arabic. In addition to Indonesian as the national language, Lombok island residents (mainly ethnic Sasak), Sasak language as the main language in everyday conversation. Lombok itself in the Sasak language can be found in four different dialects of the different dialects of northern Lombok, central, northeast and southeast. In addition to the many tribal people who live in Bali Lombok (mostly from the former Kingdom of Karangasem), in some places, especially in West Lombok and Mataram municipality can be found villages in the Balinese language as the language of everyday conversation. Most of the islanders, especially Lombok Sasak tribe embraced Islam. The second largest religion professed in this island is the Hindu religion, which is embraced by the descendants of Bali’s population amounted to about 15% of the population there. Christian, Buddhist and other religions can also be found, and especially embraced by the immigrants from various tribes and ethnic groups residing in this island. In the northern part of West Lombok, precisely in the Bayan, especially among elderly people, still to be found the adherents of Islam flow Wetu Telu (three). Unlike most adherents of Islam who do pray five times a day, the adherents of this teaching practice must pray only three times in the course. It is said that this happens because the propagator of Islam as Islam is taught in stages and for some reason could not complete his preaching. According to the Babad Lombok content, the oldest royal ever ruled the island kingdom called Laeq (in Sasak language means laeq the past), but other sources of Suwung Chronicle, states that the oldest monarchy in the Kingdom Suwung Lombok is built and led by King Bethara Sense. Kingdom Suwung then subsided and was replaced by the Kingdom of Lombok. 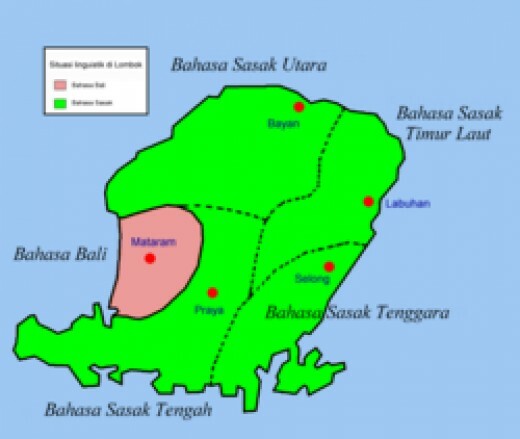 In the 9th century until the 11th century stood Kingdom Sasak later defeated by one of the kingdom that comes from Bali at the time. Some of the other kingdoms had stood on Lombok island, among others Pejanggik, Langko, Bayan, sokong smarkaton and Selaparang. Selaparang own kingdoms emerged in the two periods of the 13th century and 16th century. Selaparang kingdom first is a Hindu kingdom and reign ended with the arrival of the Majapahit kingdom expedition in 1357. Kingdom Selaparang second is the Islamic kingdom and the power ended in 1744 after defeated by the combined forces of the Balinese kingdom of Karangasem and Arya who is a brittle Banjar royal family who defected to the Selaparang because problems with the king Selaparang. . This led to the occupation of Bali Balinese influence of a strong culture in the west side of Lombok, as in dance and heritage buildings (eg in AmpenanCakranegaraPalace). It was not until 1894 Lombok Karangasem free from interference from Batavia (Dutch East Indies) who entered because of the rebellion Sasak people invited them to come. However, Lombok and then under the control of the Dutch East Indies directly. The entry of Japan (1942) makes automatic Lombok was under Japanese occupation government control the eastern region. After World War II, Lombok could be under the State of East Indonesia, before then in 1950 joined with the Republic of Indonesia. Lombok in many ways similar to Bali, and in the decade of the 1990s began to familiar foreign tourists. But with the emergence of the monetary crisis that hit Indonesia in late 1997 and other crises that accompanied it, the potential for tourism overlooked. Then in early 2000 riots between ethnic and inter-religions throughout Lombok and this caused a massive displacement of minorities. They mainly fled to the island of Bali. But after a while later the situation has become conducive and they’re back. In the year 2007 the tourism sector is the only sector in the developing Lombok. Bayan is a village in the surrounding forest is located on the southwest side of the island of Lombok, located at the foot of Mount Rinjani. The village is known as the native Sasak tribe has a loyalty to tradition in many ways, patterns and procedures reside. Architecture can be said to be very relevant and teaches how to appreciate a place and region. The village has an area of 2600 hectares is one of the existing six villages in Bayan district, West Lombok district. The majority of the population converted to Islam, known as the Islamic Wetu Telu. Administratively, the village of Bayan in Bayan subdistrict, West Lombok NTB. This village area stretching from the foot of Mount Rinjani to the north shore. The location is one route to the mountain. In terms of topography, the parrots and the surrounding hamlets are scattered from the sea directly adjacent to the village which has a height of 700 m above sea level. Livelihoods in this region is largely farming. Agricultural products of rice, vegetables, coconuts, fruits and red onion and garlic into the mainstay. Habits of the people live very closely kaitanya with the principles set out in the customs. In a village has a variety of custom homes and areas that distinguishes between the general and specific. Kampu in the area (area allotment for stakeholders-adat) there are some traditional houses that are divided and named according to the function or the nature of the profession or maloka stakeholders. Areas in kampu is sacred territory, the customary law is not arbitrary one can go in this area, for that region is isolated by a bamboo fence around it. Pattern arrangement masses in general buildings in this village has a linear typology. Lengthwise and always in pairs, facing each other and back each other, the whole house is patterned facing west and east. This refers to the guidance and the prevailing customs. In the case of determining the location and setting the building mass, has an absolute requirement in its placement. For houses that occupy the most southern position where the front of the house facing west (Qiblah) becomes imperative for the occupied by the oldest brother, following the lineage, the opposite side of the house facing south east is occupied by the next brother. Traditionally this pattern symbolize the mass order of oldest brother who can protect, maintain and protect the other brothers. In the structure of mass system is always well marked by a Baruga (meeting place) at the points that have been determined, the middle position of the pattern of a linear arrangement. This position indicates the importance of the function itself Baruga. Baruga is a place for anyone accepting guests, they serve as a traditional ceremony. Baruga size not too big, small, but scattered in several places in a village. Baruga can accommodate approximately 15 people. Closing Baruga roof made of reeds and re (fibers) with a structure supported by six pillars (pillars pillars six). This pole building at the head of each tied with 3 blocks, called pillars enclose a block and two block walls called Aton to be bound by the pins (pen). Both types of blocks are supported bearing the burden of sky (the horses) which in the end there were horses senggoko (ridge beam). Structure of the lower pole of the time the land is cendi (base) stone. Custom houses (bale) in this village woven bamboo walls, dirt floors, reed roof, with the framework of mixed construction wood and bamboo. Inside the building there is a divided territory and was named inan bale (main house) and also consists of six pillars. Function inan bale itself as a place to store the values that nature can not be known by many people other than the house. Like property, other valuables and rice stored in the barrel (temberasan or kemeras), is also a place to store nenoq (offerings to the spirits of ancestors and the spirit of the inhabitants of the house), and given time to be a place of meditation families. In the area of the house there is also a place reserved for women when visiting, divan bleh. Overall, there is room in the house reflects a unified whole in the pattern room setup. And unique to each house there is a system didesa organizing the same room with each other. The division of general and specific areas in this village is a picture of the importance of appreciating the meaning and positive values are contained, to be guarded and respected, without exaggeration. Village community life and still hold fast to the customary rules that govern all forms of relationship between man and God, fellow human beings and other creatures (plants and animals) and the surrounding environment. And the other side really appreciate and uphold the value of the life of a village in the settled order.